Many families who can’t afford to cover the cost of a child’s college education rely on student loans and financial aid to fill in the gaps. Students who want any sort of financial assistance from the federal government must complete the Free Application for Federal Student Aid (FAFSA) every year. Some colleges require students to submit this form in order to receive financial aid from their own schools (or state governments). If you need help filling out your FAFSA form, here’s how to do it step by step. In the past, parents and students had to wait until January 1 to begin completing their FAFSA forms for the next school year. But starting in 2016, they can start filling out their forms as early as October 1. With the new version of the FAFSA, students and parents can use tax information from a previous year. So for the 2017 – 2018 school year, you can use the numbers from your 2015 tax returns instead of making assumptions about what you’ll put on your 2016 tax returns. What’s more, you’ll no longer have to go through the trouble of updating your FAFSA form once you file taxes. Students need to have access to several different materials in order to complete the FAFSA form. For example, you’ll need a copy of your most recent bank statements and a record of any other assets, investments and untaxed income (like 401(k) contributions). You’ll also need your driver’s license and your Social Security number. The FAFSA form includes questions about your tax situation. So you’ll need to be able to refer to your W-2 forms and your federal income tax return from tax year 2015. 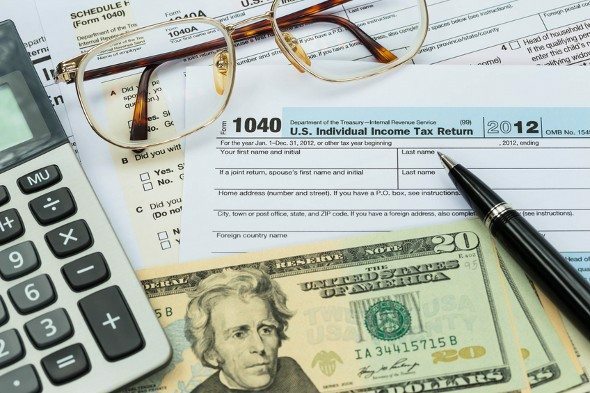 If you’ve misplaced these documents, you might be able to import your tax information using the IRS Data Retrieval Tool. Parents will need to have all of the materials we’ve mentioned (except for a driver’s license) if they’re claiming their child as a dependent for tax filing purposes. Both parents and students will also need an FSA ID, which they’ll use to sign their FAFSA forms electronically. Up until May 2015, anyone filling out the FAFSA needed a Federal Student Aid PIN in order to submit their forms. An FSA ID is a username and password that you’ll use to identify yourself online. In addition to using it to complete the FAFSA, you’ll likely need it whenever you’re visiting a financial aid website run by the federal government. Don’t have an FSA ID? You’ll need to visit the Department of Education’s federal student aid website. Besides creating a username and password, you’ll have to provide your full name, date of birth, a date that’s significant to you (such as your parents’ anniversary) and your Social Security number. Providing your email address is optional. But it’s a good idea to include it if you’re afraid that you’ll forget your FSA ID in the future. You’ll also need to type in a couple of challenge questions that’ll make your FSA ID more secure. Ideally these should be questions that a stranger would have a hard time answering like: What is the name of my best friend’s dog? While the username associated with your FSA ID won’t expire, your password will need to be replaced every 18 months. Keep in mind that a dependent student cannot create an FSA ID for his or her parent or vice versa. To begin completing the FAFSA online, students will need to go to fafsa.gov and log in. According to the Department of Education’s financial aid website, that’s the fastest way to file your form. You can also either download a PDF version of the form or call and request a paper form to mail in. The FAFSA is divided up into seven different steps. The government states that the entire form should take less than 30 minutes to finish. But if you don’t have everything you need right in front of you, completing the form could take hours. Step 1 includes 31 questions for students to answer. For the first 13 questions, you will need to provide personal information including your full name, address, Social Security number and date of birth. You’ll also need to provide your phone number, your email address and your driver’s license number and state (if you have one). Question 14 asks whether you’re a U.S. citizen. If you’re a non-citizen who’s eligible for federal student aid, you’ll need to write in your alien registration number. Even if you don’t qualify for federal financial assistance, you might be eligible for financial aid from your state or college if you have a Social Security number. Questions 16 and 17 ask about your current marital status and the date that you were married, divorced, widowed or separated. Questions 18 – 20 ask about your legal state of residence and the date you became a legal resident (if applicable). Question 21 asks whether you’re male or female. If you were born a male, in most cases you’re expected to check box 22. Checking that box is the equivalent of registering with the Selective Service System. Question 23 asks whether you’ve ever been convicted for selling or possessing illicit drugs while you were a student receiving federal financial aid. The remaining eight questions in the first section ask about your parents’ educational background, whether you earned a high school diploma and your status as a student (the degree you’re earning and whether you’re applying for financial aid for your freshman year, sophomore year, etc.). The final question in Step 1 asks whether you’re interested in participating in the work study program. In Step 2, students will answer questions 32 – 40 and 44 – 45 based on the information they provided on their tax returns for the previous year (again, you’ll use your 2015 tax return for school year 2017 – 2018). 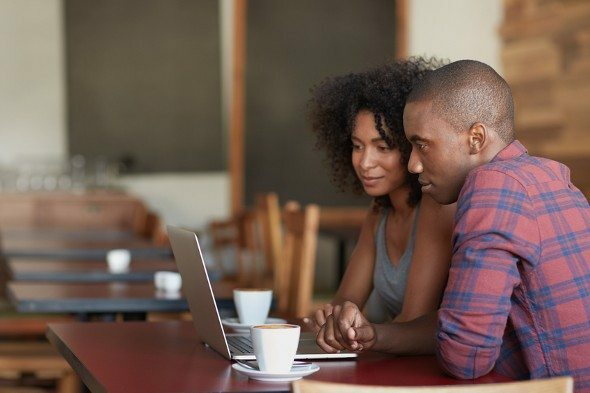 You’ll need to indicate your tax filing status (single, head of household, etc.) and provide your earnings, your adjusted gross income and the amount of any untaxed income or education credits. If you’re eligible to use the IRS Data Retrieval tool, you won’t need your tax return at all. After clicking a button labeled “Link To IRS,” the information from your tax return will be added to your FAFSA form automatically. Note that for questions 41 – 43 you’ll be asked about the current value of your investments and the current amount of cash in your pocket, your checking account and your savings account. In Step 3, students will mark “yes” or “no” in response to 13 different questions. These questions range from asking about the year you were born to asking about whether you’re an emancipated minor or a part of the foster care system. If you respond “yes” to any of these questions, you can skip Step 4 and go straight to Step 5. If you have to complete Step 4, that means you’re a dependent student. Questions 59 – 72 ask about your parents’ personal information, including their marital status, their Social Security numbers, email address and legal state of residence. Questions 73 and 74 ask about your household size and the number of people in that household that will be college students. You’ll answer these question based on numbers for the next school year (so using household numbers for school year 2017 – 2018). Questions 75 – 79 ask whether you (the student) or anyone in your parents’ household received benefits from federal programs – such as the Temporary Assistance for Needy Families program – during 2015 or 2016. If your parents live together but they’re not married, you can get help with answering questions 80 – 94 by calling 1-800-433-3243. Otherwise, you’ll answer these questions using numbers from your parents’ 2015 tax return (with the exception of questions 90 – 92 that ask about your parents’ current assets and investments). If you had to complete Step 4, you can skip Step 5. Otherwise, you’ll answer questions 95 and 96 based on your household size and the number of people who will attend college during the 2017 – 2018 school year. Questions 97 – 101 ask whether you or anyone in your household participated in a special federal program – such as the Free or Reduced Price Lunch program – in 2015 or 2016. Question 102 asks whether you or your spouse is considered a dislocated worker (essentially meaning that you’re unemployed). In Step 6, students will list the colleges that they want to receive their FAFSA information. In order to complete this section, you’ll need to visit fafsa.gov or call 1-800-433-3243 to receive the appropriate federal code for the school you already attend (or want to attend). You can log in and add additional schools later, if necessary. In Step 7, students and parents will date and sign the FAFSA form (using their FSA ID). If a third party completed the form, you’ll need that person’s Social Security number, signature and employer ID number. Then you’re ready to submit your FAFSA! If you need federal financial aid or assistance from your state or your school (in many cases) you must complete the FAFSA form every year. Filling out the form shouldn’t be too difficult, particularly if you gather the documents you need in advance. Even if you’re filing your FAFSA online you can still review the PDF version beginning in late September 2016. If you’re confused about whether you should provide information from a previous tax year or the current year, you can refer to this page. If you need additional help, you can contact a technical support staff member or check out the helpful hints that appear on the right side of the online application. If you want more help with this decision and others relating to your financial health, you might want to consider hiring a financial advisor. Finding the right financial advisor that fits your needs doesn’t have to be hard. SmartAsset’s free tool matches you with top financial advisors in your area in 5 minutes. If you’re ready to be matched with local advisors that will help you achieve your financial goals, get started now.